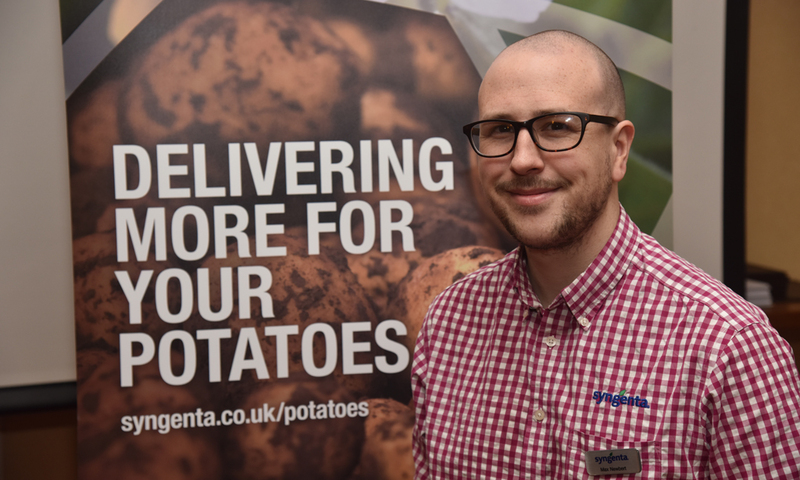 Potato and root vegetable growers could better utilise unproductive field headlands to deliver significant environmental enhancements, as well as protect valuable soil and water resources, according to Dr Max Newbert, Syngenta Field Technical Specialist. At this year’s Potato Science Live events, he reported that Syngenta Operation Pollinator research, in conjunction with ASDA, had demonstrated clear improvements in soil protection and structure on areas sown using a Green Headland seed mix alongside crops, along with the opportunity to reduce nutrient leaching. 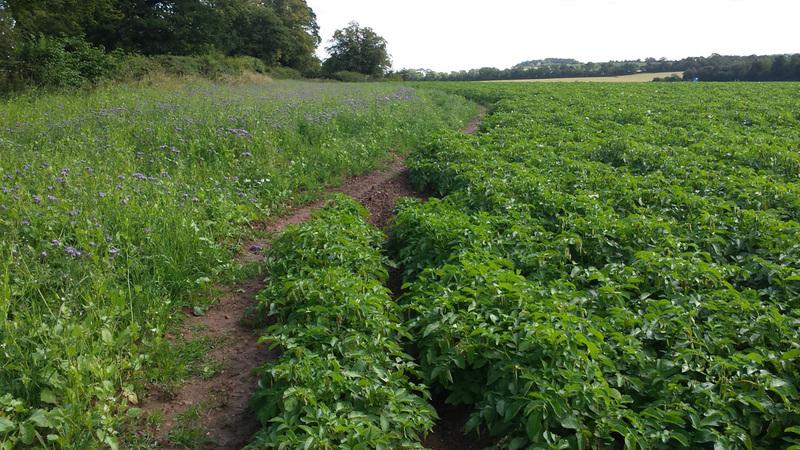 After two years of successful trials with ASDA potato and root vegetable suppliers, the Green Headland Mix is now available to all growers, as the special Syngenta Operation Pollinator Offer** at cost of £35/ha. The Green Headland Mix (pictured below), developed by seed specialists, Kings, incorporates vetches, clover, phacelia and radish. Sown in late spring to achieve fast growth, it generated 36 tonnes/ha of green organic matter over the summer, including capturing 106 kg N/ha, that would help improve soil structure and fertility. The cover crop can help to trap and retain soil movement in the field, whilst the rooting acts to stabilise the soil surface and protect from damage by tractors and irrigation equipment through the crop’s growing operations, advocated Dr Newbert. Furthermore, independent insect monitoring of the ecologically enhanced Green Headland sites in 2017 sampled 41,000 invertebrates, involving 312 different species. Of those, 60 species were identified as being positive pollinators for crops and 113 known to be predators or parasitoids during their life cycle, including targeting crop pests. Dr Newbert (above) pointed out there were few, if any, aphids caught from the headland areas in any of the sampling timings. “Given that aphids very quickly lose the capability to transfer non-persistent viruses, the Green Headland areas could potentially act as a barrier to reduce disease spread into potato and vegetable crops,” he believed. Belinda Bailey, Syngenta Environmental Initiatives Manager, highlighted that potato and root vegetable headlands are typically left uncropped, to aid management and harvesting of the field area. However, these bare soil areas are potentially exposed to soil erosion or damage by headland-turning of heavy machinery and have little or no ecological value. “The Green Headland Mix has demonstrated a practical and viable technique to both protect the soil structure and provide a valuable feeding and habitat resource for invertebrates and other farmland biodiversity,” she reported. 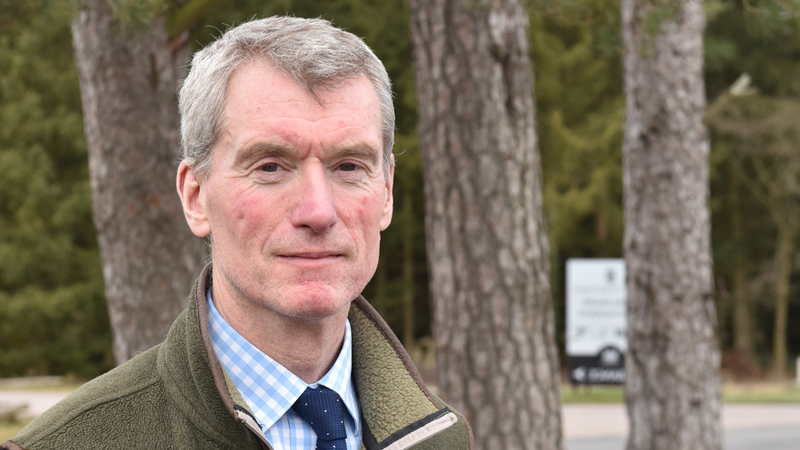 Chris Brown, ASDA Senior Director of Sustainable Sourcing (above), highlighted the project demonstrated the good stewardship of farmland by growers. “This initiative highlights the efforts of UK growers to work towards increasing biodiversity and protecting resources.